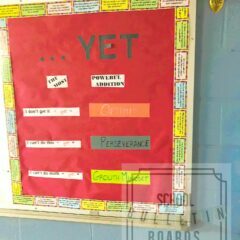 Helping students to increase their fixed mindset, this growth mindset bulletin board will assist children in realizing their true potential. Children will envision themselves being so many different important people. Sometimes just having that daily reminder can really make a difference in attitude and performance. 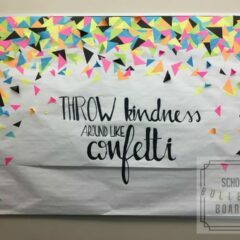 Have each child tap the sign they most relate with that day as they enter the door. 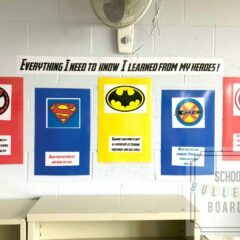 Design one activity per day that correlates with one of the signs and make sure to share with students the focus of the day. 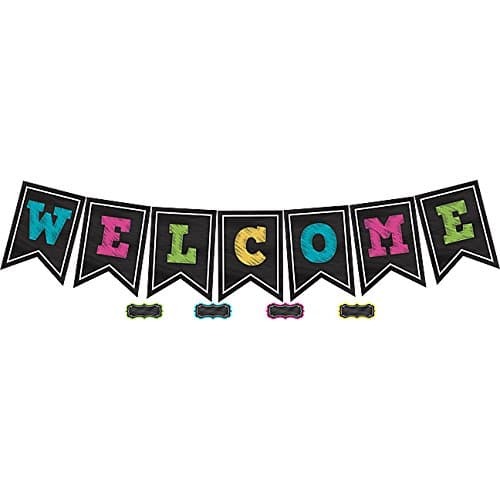 Welcome Banner: A fun and bright banner that welcomes students into the classroom is a must-have. Motivational Quote Banner: Use this as a title for your board or wall. 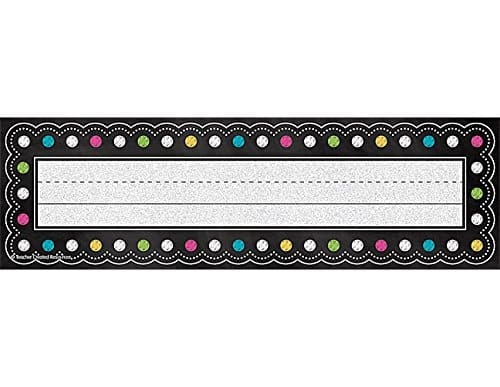 Blank Nameplates: Use these name plates to write your chosen character traits. Use a black sharpie or glitter paint marker for extra pizzazz. 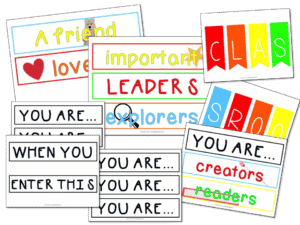 Begin by choosing the character traits and descriptor words you wish your students to display and writing them on the nameplates. These can even be changed out regularly. Some suggestions: readers, scientists, kind, understanding, funny, smart, imagineers, mathematicians, etc. Add your You Are… words to match the creator nameplates. Place your namplates on the wall or board from the bottom up to know where the top of the board should be. Add the title header to the top of the traits section in the middle. Last, add your banner above it all. 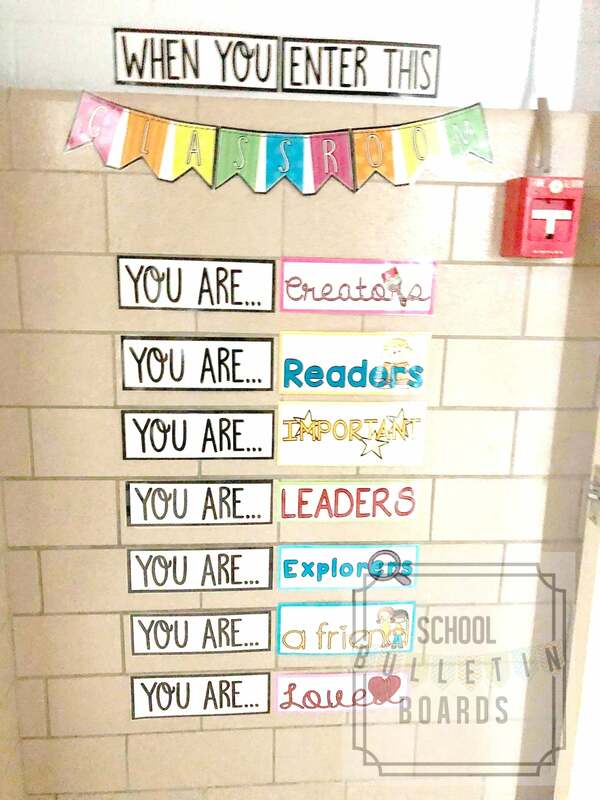 This board can easily be swapped out regularly for different character traits and focus words throughout the year – with very little take down and put back up time on your part. 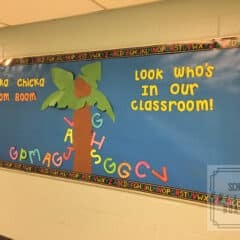 Students will enjoy beginning and/or ending their day trying to “be” one of the words on the board. Having that constant reminder that they have so many possibilities day in and day out definitely encourages growth mindset daily.